Great Boyfriend/Dad socks!! Those are on deck at some point in the near future for me too...And depending on whether or not my Boy can get over his aversion to any and all cables, they may turn out to be Philistine socks. The socks look great. Love the color and the pattern. Honeybaked Ham makes mac & cheese? Or are you saying the ham is the best "mac & cheese"? I'm stupid! 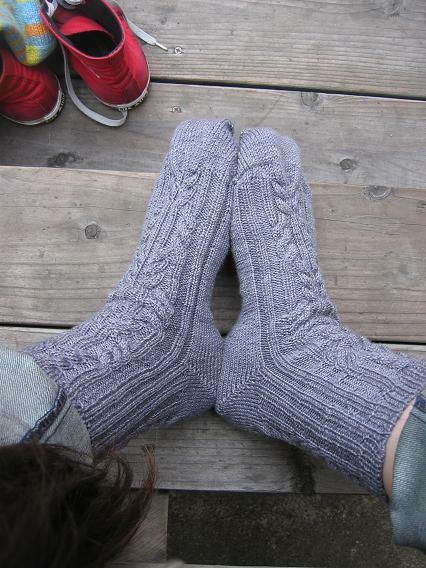 The socks look comfy cozy, and you should totally knit a pair for yourself. But the fiber, I don't even spin but it makes me want to drool! Baby Alpaca/Silk IS love!! what a luxurious fiber. I love the socks. great man project/gift. have a great Thanksgiving - MMMM - mac and cheese! 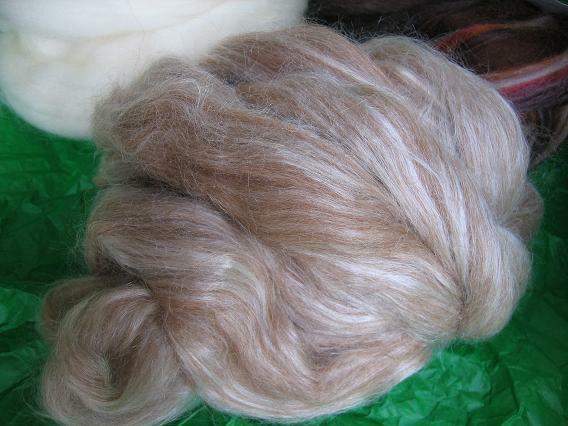 The alpaca/silk looks just luscious!! Handknit socks sound like pure heaven, I hope you'll give it a try so I can learn a thing or two. Great job on the Dad socks. Enjoy the holiday!! hey I ate up some Honeybaked Turkey too today!! Found you while doing a google search for Henry's attic. I'm in SF, and wish I could knit like you! That MOD throw is AMAZING!!!!! just luverly! 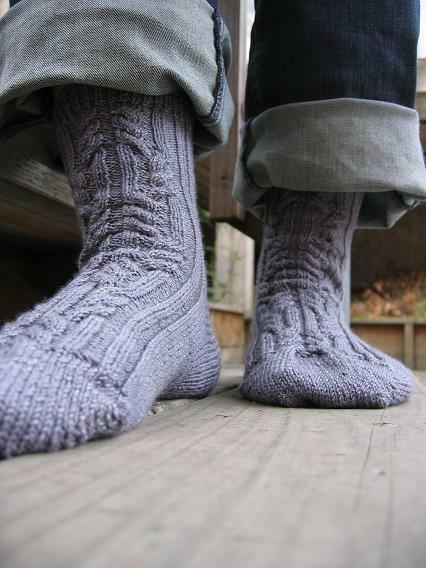 Lizard Ridge looks fantastic and the Boyfriend Socks, lovely as always. I rarely buy fiber, but when I do I usually only buy 4oz. I'm at a point in spinning (when I have time to spin) where I just want to spin it up as fast as I can, see what it looks like, and move on to a new color/fiber. 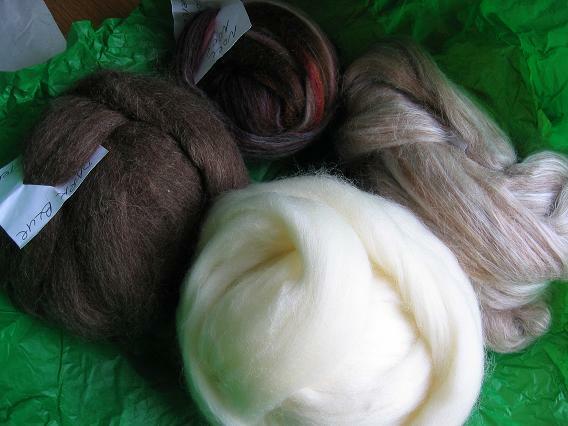 Alway's purchase more than you think you will need for a project..Just like yarn fiber does have a dye lot. These amounts are estimates. Design, thickness of yarn, size will effect amounts. To spin for a pair of socks 4 oz. Average size adult vest 16 oz. Average size adult sweater 24-32 oz. that honey bakeed ham sounds so yummy! Making me hungry!! Nice socks and you'll enjoy spinning the alpaca/silk I'm sure! Lovely cabled goodness here! 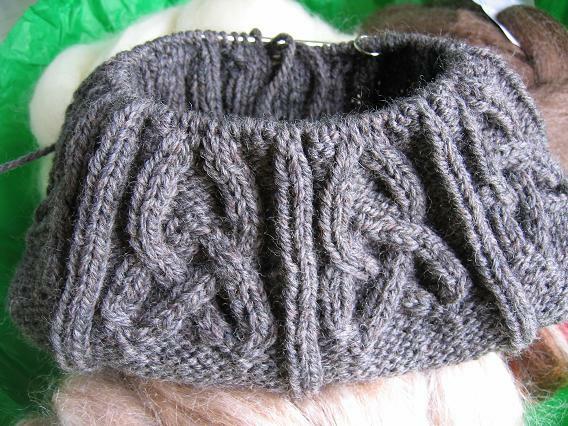 I made the Celtic cap last year in SWTC Karaoke and it was a delight to knit up. Yours looks great. Those socks look like a blast... Congrats! Your blog is beautiful! Lots of great projects!